Will the NY Attorney General Bring Doomsday Charges Against Wall Street? If So, How Long Will He Survive? Gretchen Morgenson of the New York Times just published one of the few feel good stories in months following the 2008 financial crisis. She describes a possible day of reckoning for the perpetrators of the 2008 crisis and much of the pain that has followed. 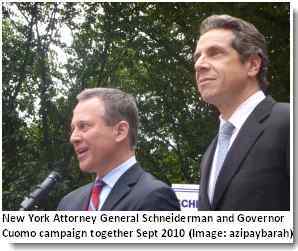 Read more about Will the NY Attorney General Bring Doomsday Charges Against Wall Street? If So, How Long Will He Survive?